Since they were first discovered in the caves at Qumran in 1947, the Dead Sea Scrolls have aroused more fascinationâ "and controversyâ "than perhaps any other archaeological find. They appear to have been hidden in the Judean desert by the Essenes, a Jewish sect that existed around the time of Jesus, and they continue to inspire veneration to this day. In this concise and accessible book, John Collins tells the story of the scrolls and the bitter conflicts that have swirled around them since their startling discovery. He explores whether the scrolls were indeed the property of an isolated, quasi-monastic community or more broadly reflected the Judaism of their time. He unravels the impassioned disputes surrounding the scrolls and Christianity, and looks at attempts to â oereclaimâ � the scrolls for Judaism after the full corpus became available in the 1990s. 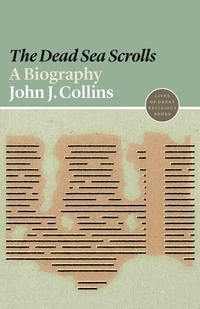 Collins also describes how the decades-long delay in publishing the scrolls gave rise to sensational claims and conspiracy theories.